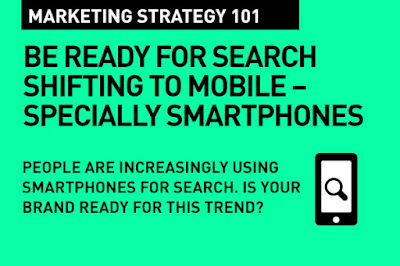 We know that Search is shifting to mobile – particularly to smartphones. Google tells us in a new research on cross-device habits that a growing number of consumers browse the web and search on multiple platforms through the day. What the research also tells us that a fair number of those consumers actually just go mobile – by passing the desktop experience altogether. Is your brand ready for this trend? Before you consider mobile in your brand strategy, or focus on it even more, if you are already there, it's important to know your audience, your target, your customers. Customer Insights is your First Step in Digital Marketing. It's really a mobile-first world today. People expect answers quickly, in the immediate. Consumers today turn to the nearest device to make a decision, learn something new, or get something accomplished, Google tells us. Google calls this micro-moments. "Connecting the dots across these micro-moments is necessary for marketers to tell a single story across devices, channels, and formats". People are impatient. And, they are empowered with the immediate – thanks to their smartphones. They want to know, they want to find results right away, And they are turning to mobile. Google reminds us that "nearly 40% of people search only on a smartphone in an average day as they look to meet immediate needs. As a result of this shift, more Google searches are happening on smartphones than computers". Marketing Land tells us that users are increasingly spending more time on smartphones than on desktop. More striking, however, is the finding that 27 percent of people are smartphone-only users (on any given day). Google also reports that of those people who conduct searches on an average day, 39 percent search only on a smartphone and 32 percent search only on a desktop". The AdWords interface will show you what portion of your clicks and conversions come from mobile vs. desktop, and if 10 percent or more of a campaign come from mobile devices, consider targeting separately. Google allows for targeting by specific devices, operating systems, and carrier (with further tablet targeting options expected later this year), which is important because the end user mobile search experience is different on a mobile phone than it is on an iPad/tablet. Mobile searching lends itself to shorter query lengths and hyper-local results. Google’s mobile keyword selection tool offers great assistance for getting started when choosing your ad keywords. The searcher’s attention span is limited, so make mobile specific ad copy short and sweet. Include clickable phone numbers and/or geo-targeted maps to enhance your CTRs and conversions. Landing pages from mobile search clicks should reflect your conversion goals. If you want them to call you, download something, watch a video, and/or view a map, optimize these pages accordingly. When launching new campaigns, it’s best to start with an aggressive bidding strategy, which will allow you to establish a strong quality score off the bat. Securing position in the top two paid results is imperative with the limited viewing area on mobile devices. Focusing your digital marketing strategy on mobile is no longer a nice-to-have. You really need to amp up your mobile marketing efforts – particularly with search engine marketing if you want to win over your target audiences. That's Digital Marketing Strategies 101.